When I had my twins in February 2006, I struggled to get dinner on the table. I needed something fast and easy. I was never prepared, for crying out loud I generally did not know if I should scratch my watch or wind my…. you know. It was a very trying time in my life. Fast forward a few years later and I finally have my stuff in order when it comes to getting dinner on the table. I have equipped myself with some great meal planning tools. In an effort to share resources and solutions with mommy’s everywhere you will find over 90 easy recipes on my site. I have even added a feature that allows you to make the recipe printer friendly for those who have recipe binders, etc. I also have a passion for helping mom’s who struggle with meal planning. Does the idea or process overwhelm you? I have broken the process down into five simple steps anyone can follow. If you struggle with getting dinner on the table, check out my eBook How to Meal Plan: A Step by Step Guide for Busy Moms. This resource will reach you how to meal plan in 5 simple steps. Also, if you love your crockpot, but have questions about cooking in it, here are my 10 crockpot cooking tips. 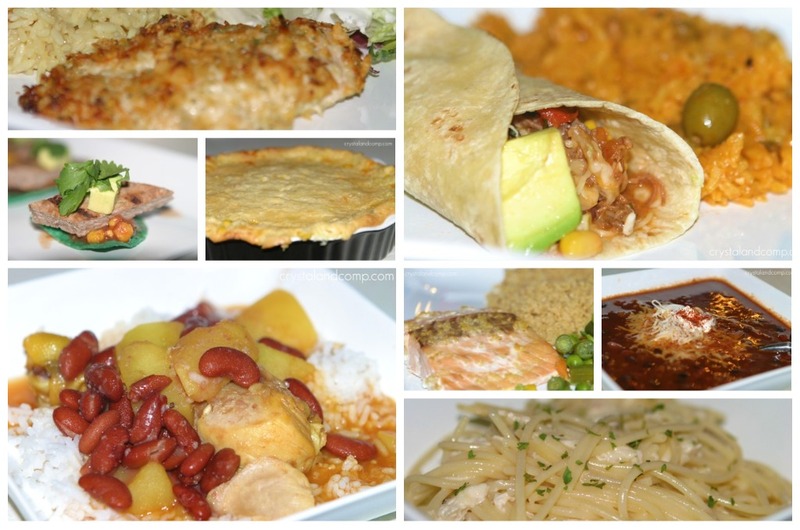 Here are my 15 favorite crockpot recipes too! Org Junkie hosts a linky every Monday where bloggers everywhere share their weekly meal plans. This is a great site for getting meal plan inspiration and finding new recipes. 3 Boys and a Dog is a great site for finding kid friendly recipes! The Greenbacks Gal is the perfect site for finding quick healthy recipes. Budget Saving Mom has a great selection of budget recipes. The Sassy Saver shares frugal recipes on her site. Eat at Home is an awesome site for finding recipes with short ingredient lists and easy preparation. She also has an e-book with 30 recipes that can be prepared in 15 minutes. Stephanie Odea has a site dedicated to crockpot cooking. A few years back she challenged herself to cook in the crockpot every day for one year. She shares recipes galore! My eBook includes a list of 20 free recipe sites that are perfect for moms who want to get dinner on the table for their family.